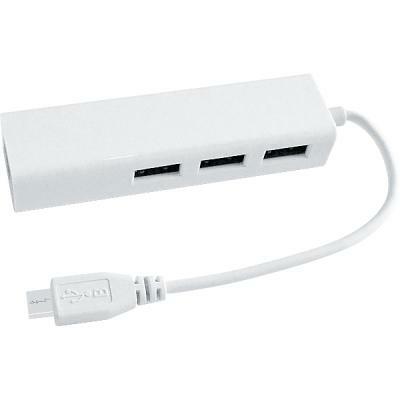 Micro USB To RJ45 and USB Convert Extension Adapter. 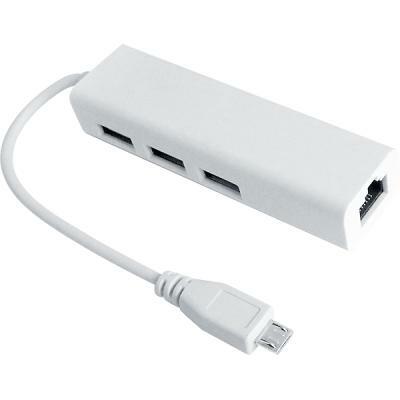 Easy to install, the adapter plugs into any available micro USB port and lets you connect your tablet to a cable or DSL modem, as well as share files and peripherals with computers that are connected to the network. 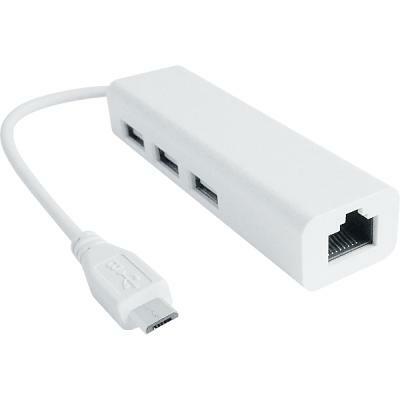 This simple solution adds an RJ45 Ethernet port to your tablet without opening the computer.